Those who are looking for a unique guard dog for their family and home are frequently drawn to the large, independent livestock guard dogs.Perhaps it is their size that makes the people feel safe, or the rarity of the breeds, or the perception that they are more gentle and not as aggressive as the normal guard dogs such as the German Shepherd, Rottweiler or Doberman Pinscher. People may also think that they are healthier and not as overbred. 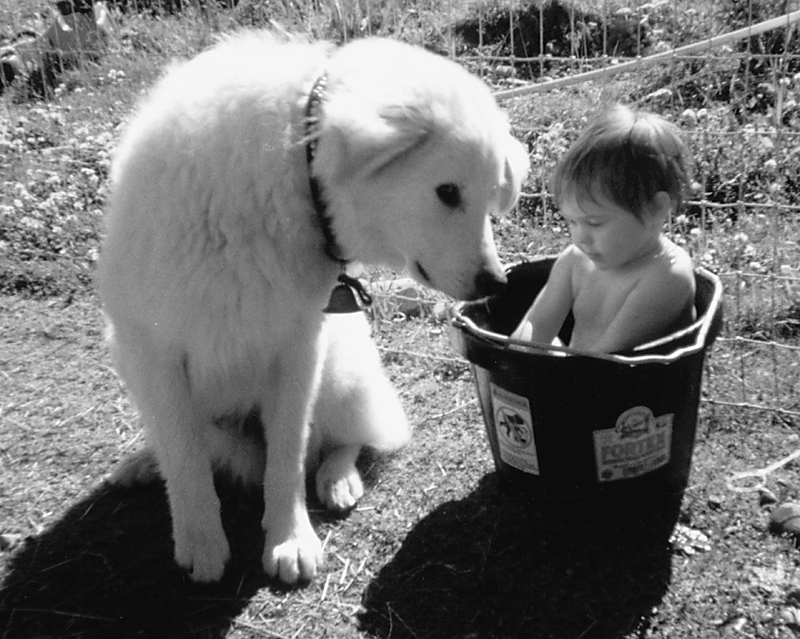 But for all of the pros of having a livestock guardian dog as a family companion dog, there are several important things that should be kept in mind. These breeds are noted for being independent and much more aloof than the normal household dog as they have been bred for centuries to live with their herd of livestock, with little human interaction other than the shepherd They also have to think for themselves on the best actions to take when confronted by a threat, with no interference or guidance from the shepherd. This trait can make them appear stubborn and difficult to train.Many individuals can be too dominant and aggressive for the average family, with owners who are soft-natured being unable to handle or control them, making them a liability and not a guardian. They are notorious barkers and will bark at almost anything, especially at night. As they have been bred to patrol at night, secure fences are absolutely necessary or they will define their own territory, which may become much larger than the owner’s backyard or small acreage. However, if a potential owner thoroughly researches the different breeds, develops a relationship with a breeder and picks the right puppy, a livestock guard dog can fit in the family. Potential owners also must have the right temperament and dog handling experience and be able to provide the dog with the right home environment. When considering an LGD for a family guardian, there are several things that should be evaluated. Some of the breed registries promote the “dual” purpose livestock guard dog, while others encourage the work traits. A “dual” purpose LGD is really at cross purposes, as the dog has to be independent, self-confident and aggressive enough to stand against wolves and bears.It may be difficult for this same dog to fit in a social setting that would be demanded of it in a suburban environment. 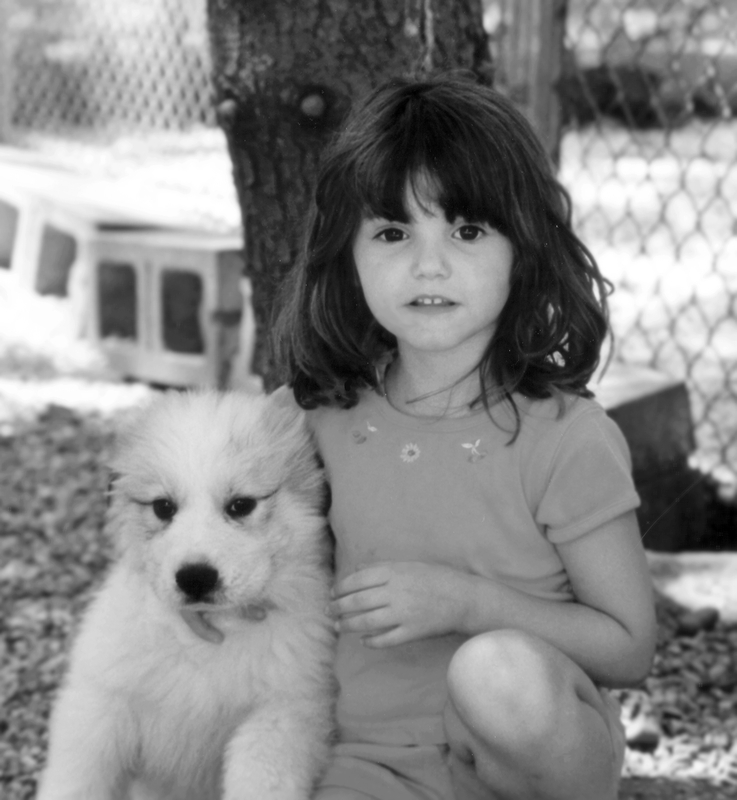 One breed which has been bred more for companion is the Great Pyrenees. 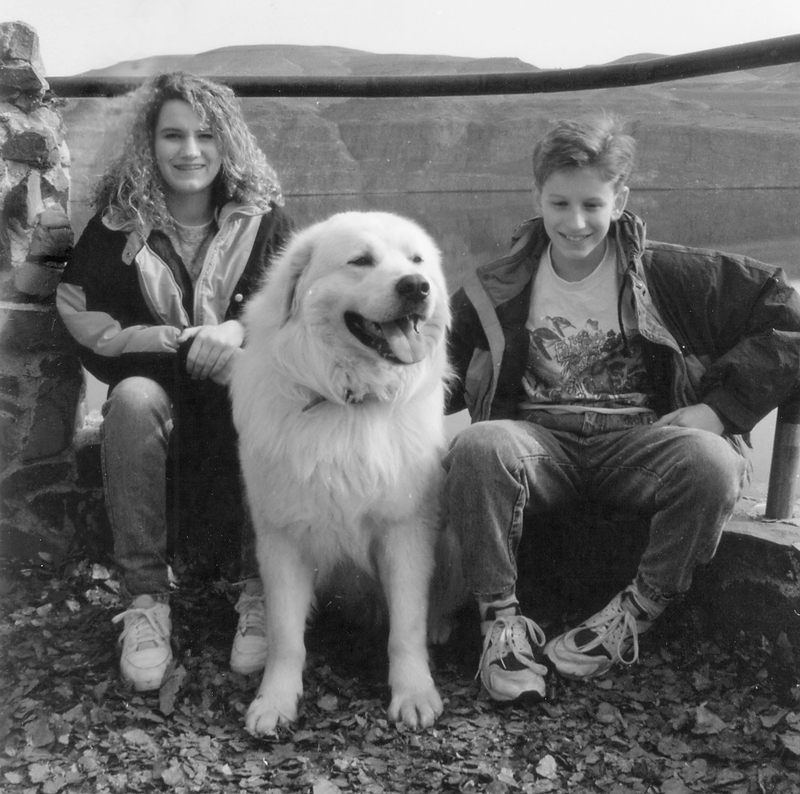 Many Great Pyrenees breeders emphasize that they are good choices for the home and family. Some Kuvasz breeders also breed for companion dogs. 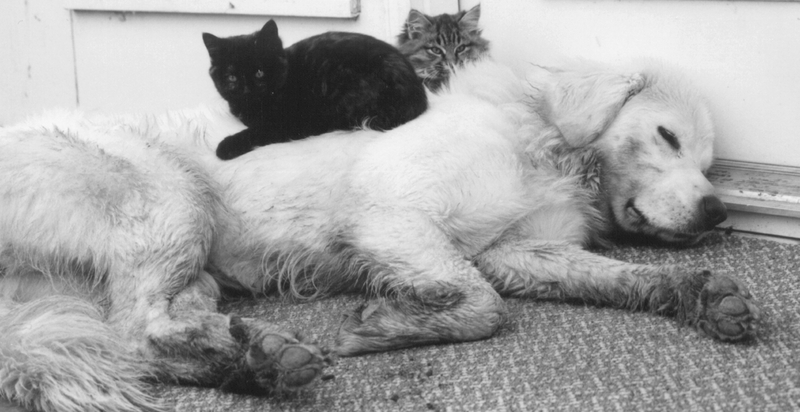 If you are searching for a family companion LGD, keep in mind that show dog lines are not normally used as guard dogs. There is no way for the dogs to be tested in the show ring for the correct temperament, and an aggressive dog is not allowed, so the more mellow dogs are bred. There is also no way to assure that proper health is continued, as the dogs are not tested in the field. While there may be some dogs from those breeders that are successful in the field, the softer temperament would not suit working in large open areas. Over time, there have been breeders of LGD, especially the Great Pyrenees and Kuvasz, that are breeding for a more mild temperament with less aggression. These dogs would do well on a smaller acreage, say under 20 or 30 acres, where they would be content to watch over the farm, as they would have less drive and energy, and would more easily handle human traffic. The potential owner should be aware that there will be variances in not only the various breeds, but also the different lines of these breeds. Any potential owner of an LGD should not live in an apartment or a small home with a small or non-existent yard. As mentioned earlier, a tall, secure fence is an absolute requirement to keep the dog confined to the owner’s space. 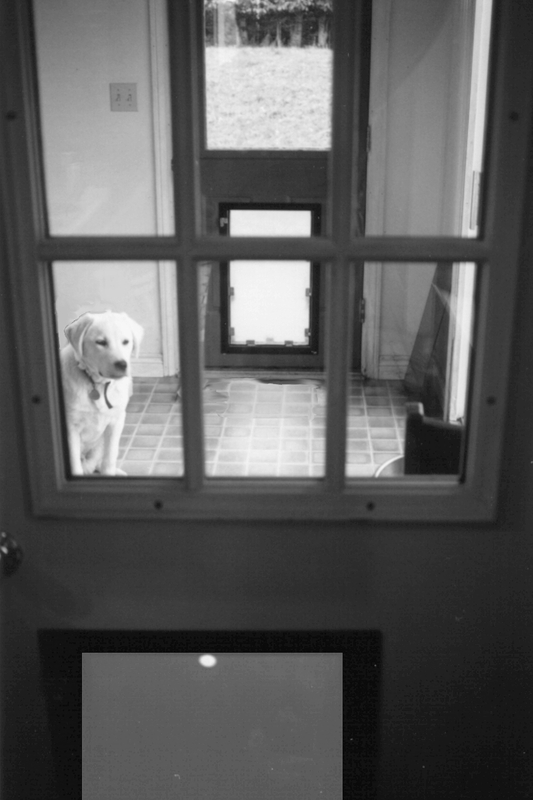 As they are guard dogs, barking can easily become a serious issue with neighbors, so unless the neighbors are located far enough away from the property to not be disturbed by the barking, the owner has to provide an area to keep the dog indoors at night.Be aware that frequent human and animal traffic will create barking, so the ideal situation would be to have a large enough piece of land where the dog will not be frustrated, nor will the neighbors.Familiarity with big, strong-willed guard type dogs is a must, and no one in the family can be afraid of dogs of this size. Socialization of these breeds is very important. They require the owner to train and work with them on a daily basis, and they should be introduced to a variety of people, animals and locations at a young age. As guard dogs, they are known to kill stray cats, squirrels and other animals, so the potential owner must be prepared for these events or have the patience, skill and time to train them to not kill other animals. Livestock guard dogs can be and have been successful family and home companions, with the right owners and situations. The best recommendations for this is to carefully research the breeds that are available, develop a strong relationship with potential breeders, contact owners of past puppies from those breeders and be cognizant of your abilities as well as the situation that you would be bring the puppy into. To learn more about Livestock Guardians or Livestock Protection dogs, Orysia Dawydiak & David Sims have an excellent book, Livestock Protection Dogs: Selection, Care and Training, that covers all aspects of these magnificent dogs. It can be found at Alpine Publications, Inc. This entry was posted in livestock guardians and tagged dogs as family companions, dogs as home guardians, guard dog breeds, large dogs as family companions, livestock guard dogs, livestock guardian dogs as family companions, livestock guardians, livestock protection dogs, livestock protection dogs as family companions. Bookmark the permalink.